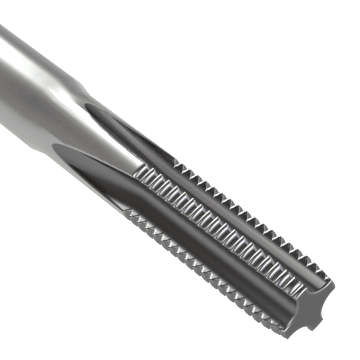 Intended for use on a machine such as a drill press, lathe, or CNC machine, straight-flute machine taps are well suited for tapping blind holes and through holes in short-chipping materials like cast iron. The flutes allow coolant to flow to the cutting edge to help prevent seizing and galling. 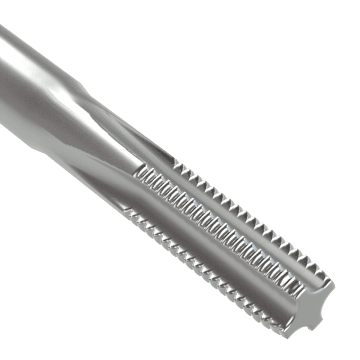 A good choice for demanding tapping applications in cast iron, cobalt steel taps provide more wear-resistance at higher speeds than high speed steel taps. They are suitable for use on hard materials such as heat-treated steels, stainless steel, and titanium alloys. 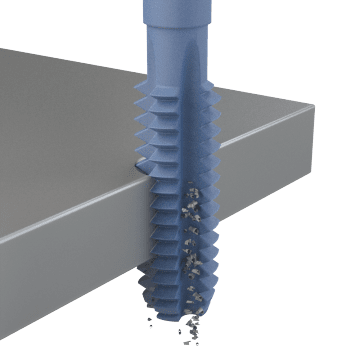 The TiAlN (titanium aluminum nitride) coating on these carbide taps withstands high temperatures and protects the bit against wear when tapping at high speeds in difficult-to-machine materials. TiAlN-coated tools are suitable for dry or semi-dry machining applications and have a violet-bronze color. Carbide taps are harder and more rigid than cobalt or high speed steel taps. They have good wear-resistance when machining the toughest materials, such as cast iron and nonferrous alloys, but they require rigid tool setups because they are brittle. Carbide taps are harder and more rigid than cobalt or high speed steel taps. They have good wear-resistance when machining the toughest materials, such as cast iron and nonferrous alloys, but they require rigid tool setups because they are brittle. 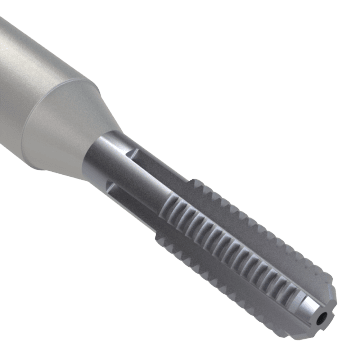 The TiAlN (titanium aluminum nitride) coating on these carbide taps withstands high temperatures and protects the bit against wear when tapping at high speeds in difficult-to-machine materials. TiAlN-coated tools are suitable for dry or semi-dry machining applications and have a violet-bronze color.